If you are here to look at my twelfth scale miniatures, please click here... it will take you to my brag page. A mini bedroom I created. Most articles I made, but purchased the tables, pitcher and hat boxes. I have just discovered some excellent mystery novels. They are the Amelia Peabody series by Elizabeth Peters. They were so good, I ended up buying the whole series from Barnes and Noble. Highly recommended! 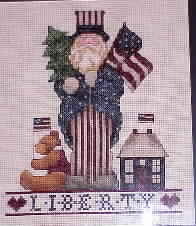 A completed cross-stitch of mine. I am in the midst of creating a townhouse from a bookcase; furnishings will include needlepoint chairs, gilded fireplaces, kit-creations, and more. I prefer to make my interiors, as it makes it more personal to me. 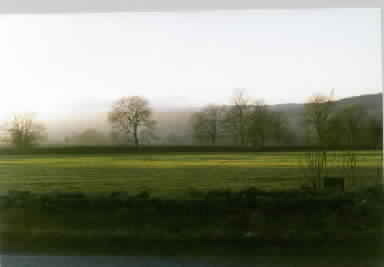 A shot of the Yorkshire countryside, near our home in Bishop Monkton.